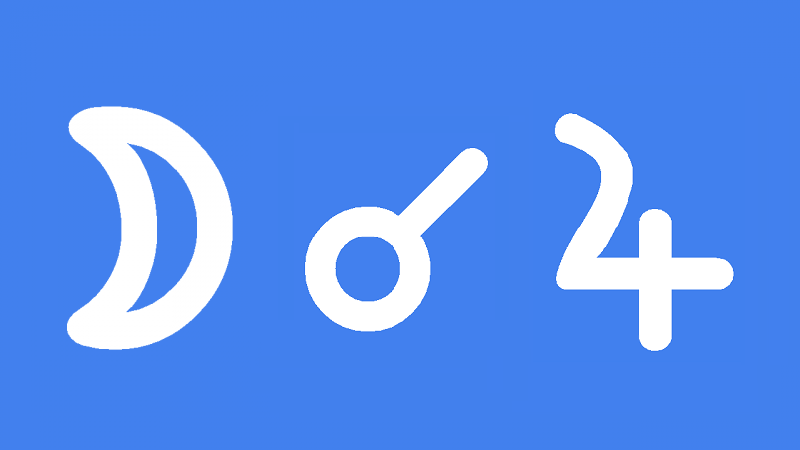 Moon conjunct Jupiter natal makes you happy, popular and generous. You are the type of person who never has a bad word to say about anyone else and always looks on the bright side of life. Your good nature, charm, charisma and countless other good qualities bring social success and public popularity. You should at least have a larger than average number of friends and admirers and may become well-known or famous. Your optimism about the future and life in general is a natural trait that is reinforced by positive life experiences. You subconsciously attract good things, whether they be people, material goods or a particular type of situation. This attractive inner quality has a nurturing, maternal feel to it which makes those around you feel supported and nourished. You love socializing and will find great enjoyment and satisfaction making close emotional attachments. Making friends comes easy and you should have a broad choice of people to choose from to be your partner. You are so open with your emotions and non judgmental that you will attract all kinds of friends. Your friends, partner and even you family may come from a range of different countries, religions, cultures and beliefs. You want and need to have as many different experiences as possible. At any one time in your life a particular woman will have a big influence on your emotional well-being and psychological growth. This is most commonly your mother while growing up. However, at various stages in life this enriching feminine influence may come from a best friend, partner or teacher. Depending on other aspects and fixed star conjunctions, you may be too generous and accepting of others for you own good. Not everyone is as genuine and honest as you. Such sneaky people may view your generosity as a weakness. You may also have a tendency to party too hard and work too little. Another potential downside to this very lucky aspect is spreading yourself too thin and skimming over subjects. You may sometimes lack depth of understanding by taking such a broad view. Moon conjunct Jupiter transit makes you feel happy and content. You will want to share you good mood, making this a good time for socializing and partying. This is a time of optimism, generosity and good fortune. Things that you start now should be successful as they are based on good intentions. This is especially the case for those things related to growth and happiness. It could be an overseas holiday, a financial investment or an intimate relationship. Spending quality time with loved ones would be particularly rewarding now. Your caring and supportive attitude can bring new friendship and favors from others. Your warm feelings are contagious and you will look and feel more attractive than usual. Social and public popularity is associated with this transit as well as a strong feminine influence. A significant woman in your life will have a positive effect on your personal or spiritual development. If this transit be a moon phase then it signals the right time to join groups, start a long journey, enroll in a higher education course or take legal action. Births and marriages will benefit from growth and good fortune. Luck is on your side your but most rewarding should be your emotional and spiritual growth. A range of diverse relationships and cultural experiences can enrich your life in personal and material ways. This interpretation for Moon conjunct Jupiter transit applies to a lunar eclipse and full moon conjunct Jupiter. Andre Chouraqui 0°09′, Hugo Chavez 0°18′, Merv Griffin 0°27′, Marc Robertson 0°28′, Jules Verne 0°50′, Alan Longmuir 0°50′, Jim Jarmusch 0°51′, Adair Lara 0°55′, Ariana Grande 1°04′, Uri Geller 1°18′, Ann-Margret 1°23′, George W. Bush 1°26′, Leonardo da Vinci 1°36′, Adolf Hitler 1°37′, Meghan, Duchess of Sussex 1°46′, Whitney Houston 2°23′, Rudy Giuliani 3°47′. Thank you for this post. I have the Moon (12 taurus) conjunct South Node (11.5 Taurus) conjunct Jupiter 14 Taurus. All these are the Yod apex of generational Neptune -pluto sextile. Destined to be psychotherapist. Instead of simply the Moon passing over your natal Jupiter, there is a lunar eclipse or full moon conjunct your natal Jupiter. Hi Jamie, I love to read your posts. All this attention to detail and the fact that you explain natal and transit effects. The new moon on 9 September 2018 will pass over my natal Jupiter. To be accurate it will make a very very tight conjunction (Jupiter at 17.14) as well as with natal Juno (16.24) and Persephone (17.20). “If this transit be a moon phase then it signals the right time to join groups, start a long journey, enrol in a higher education course or take legal action. Births and marriages will benefit from growth and good fortune. Ah ok 🙂 thanks. Jupiter 23 scorpio is right on my moon at the moment and will be there for my solar return. I have never been in better control of my raging emotions than i am now.